You can do it, we know you can. You can become the manager, leader, and coach you are destined to become. Now is the time to take what you know, study what you don’t and make your plans become reality. If these goals sound too lofty, think about what’s at stake. 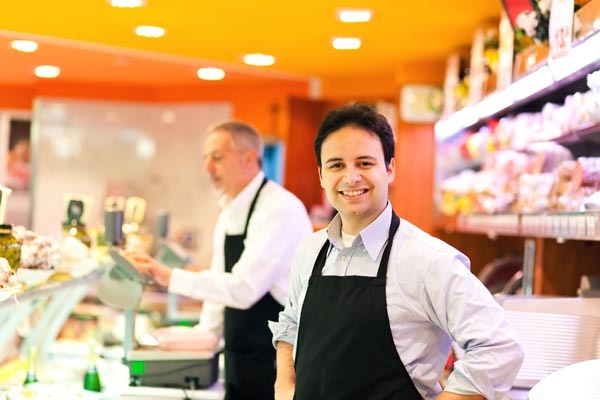 The success of your restaurant lies in your role as a manager or owner. These three keys to effective restaurant management can get you there. Be a lifetime learner and constantly seek to improve yourself. Try to learn something new about your business every day. Know and be able to skillfully perform both your duties and the duties of every member of your staff. When needed, be willing to pitch in and get your hands dirty helping your staff perform their duties. Take initiative and set the example in your appearance, your attitude and your performance. Be professional, tactful, fair and have good judgment. Maintain the physical and mental stamina to perform your job under difficult circumstances. Coach and mentor your staff to foster their growth and help them succeed. Teach something to every associate daily and try to learn something from them as you do it. Give credit where credit is due and create an effective system to reward excellent performance. Be loyal to your staff and let them know how important they are to the success of your company. Develop an action plan for your next work day, either as the last thing you do every night or the first thing every morning. Tackle the toughest task on your action plan first and work through as many items as possible throughout the day. Re-visit your action plan and re-prioritize it at least once per day. When making assignments to your staff, give them appropriate instruction, be clear about your expectations, ask for their input and always, always, always give them a deadline. Make a note to follow-up both before and on the deadline date to ensure that the task is completed on time and in a satisfactory manner, and then provide appropriate feedback. You get what you inspect, not what you expect. Ensure that your entire team uses “checklist type tools” for daily, weekly and monthly tasks. To effectively run your restaurant you have to coach your team. To facilitate good coaching you need to know each and every employee, talk to them every day and learn how best to coach, teach and motivate them to ensure a high level of performance. As you work the floor on a daily basis and connect the dots for yourself, look for ways that your management and staff can better connect the dots and improve the restaurant’s performance. Give them a (positive) 30-second coaching session right on the floor by providing both positive and not so positive examples that you have just observed. Explain to them why these examples matter. If it is a recurring theme with that staff member or manager, or with your entire staff, have a more in-depth training session to make sure that you have adequately addressed the issue and they clearly understand the result you want them to achieve, then follow-up to ensure that they are acting on your input.